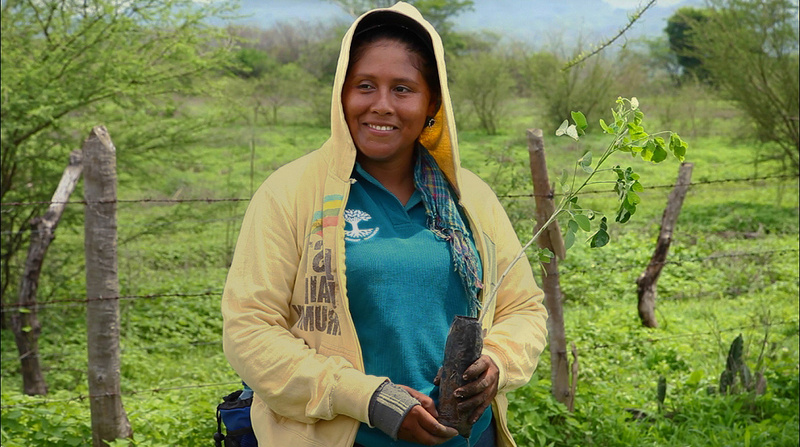 Tree-Nation helps planting projects to get funds and build their network of followers. Getting funds is one of the main obstacles a plantation project has to face. It is a tough and time consuming job. Our aim at Tree-Nation is to make your job easier by providing you the tools to get funds, build your network of followers and let the world know about your project. You don’t need to develop your own website anymore. With just a few clicks you can create your own website inside Tree-Nation. A website developed with the latest technologies and designed specifically to answer your tree planting project needs. 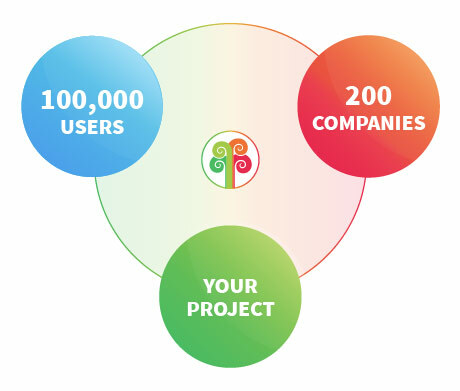 More than 200 sponsors and 100.000 users make frequent contributions to our affiliated planting projects. Our secure payment system makes it easy for sponsors and users to contribute to your project. That said, you are free to use our payment tools or simply link your followers to your own website and collect funds there. We only take a commission if you use our payment tools. Having a good presentation of your project is essential if you want to convince others to join your cause. Tree-Nations helps you to get the best presentation possible and to get feedback and testimonials so that your project stands out. We provide you with the ideal toolbox to communicate about your tree planting activities to the world. You can either post short updates about your daily progress or write long articles. Your communications will connect with our users and sponsors and spread through Facebook and Twitter so that they always get noticed. Just by creating your project page you will instantly tap into hundreds of thousands of passionate tree planting sponsors. Get your project page ready and start posting some content. You’ll see how your network of followers starts growing. Tree-Nation is open to all plantation projects in the world. It doesn’t matter if your project is 5 years old or hasn’t started yet, if you are a NGO or a private land owner. The platform is flexible enough to accept all kinds of projects. Welcome! You can join right away. Just press the button and make your project visible to the world. What are the requirements for a Plantation Project to join Tree-Nation? You can join as a project holder at any stage of your project development. From the project idea (with no trees yet planted) to a running project that just want to increase its sponsor base. You can be independent or an NGO. Not only we accept from micro project to mass scale projects, we also made sure that such projects can live together on our platform without overshadowing one another. There are no quality requirements neither but please understand that your project will be reviewed and rated so quality will eventually be paramount to allow you to gain followers and sponsors. In other words, everyone is free to join and add its project. Our goal is to create a place for all projects to thrive. How do I publish my Plantation Project in Tree-Nation? 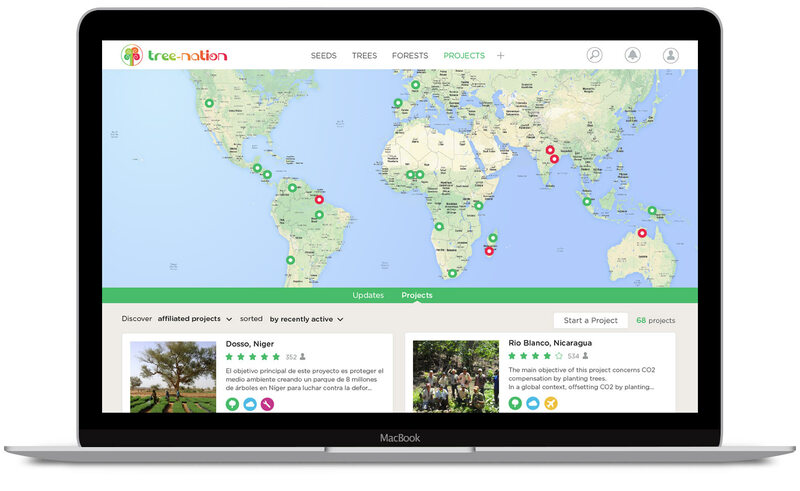 To publish your project on Tree-Nation you just have to press the button “Start a Project” that you will find on the Projects List page and fill in the information required- which includes your project name, location, description and picture. Once the project is created you can go in the 3 following section of your project (About, Planting Sites, Species) and fill in the required information at your own rythm. Also at any moment you can use the Dashboard section to see what information you need to complete. My project appears as “In Construction”, why? When you start a project, it first appear with a red badge saying “In Construction”. This means your project is still not available in the project list, so nobody else than you can see it. This allows you to fill in all the needed information at your pace and only make the project public when ready. If you go to your dashboard you will see in Stage 1 the steps you need to complete to change your project status from “In Construction” to “Independent”, which is the next stage. Don’t forget to click on the button “Publish Project” at the end of stage 1. – As an Independent, you only present your project on the platform and communicate about your progresses but you manage your funding on your own independent website. Your followers will be able to access your own website through the link “Visit website” present in all your project pages. In this case we do not take any commission. Tree-Nation services are entirely free. – As an Affiliated, you can raise funds directly through the platform. (It’s then up to you to decide if having your own website outside Tree-Nation is cost effective). Tree-Nation users will find “Plant” button on every page of your project, but also in each of your species, in their dedicated section. Not only this Tree-Nation users will find “Plant” buttons in many other sections of our platform (in TREES, SEEDS, FORESTS, SERIAL-PLANTER, etc…). Your trees will also be available to fund from our affiliate program, which include the Udianas websites and many other partners. Also you will receive funding from our network of partnering Corporate Sponsors. For Affiliated projects we take a commission. All the monies of the commission are reinjected in the Tree-Nation platform to improve it and bring new useful tools for our planters. How do I become an Affiliated project? To become an Affiliated project you need to complete all 4 stages, visible from your project Dashboard. (In the mean time you will be an Independent project). There is a minimum review period of 6 months, since the day you create your project on Tree-Nation. During this time you’ll be able to gain a base of followers so your efforts will pay as soon as you become Affiliated. You are authorized to stay Independent if you prefer so having completed all 4 stages do not force you to become Affiliated. We recommend Independent project to complete all stages all the same as this will raise their rating and increase their followers base. Your dashboard is a private section only you, the project holder, can see. This section is particularly usefull to allow you to complete all stages and thus improve your rating and increase your followers. Thanks to the dashboard you’ll always know what you have to do and keep track of what you completed. Also it will inform you if you have a pending Question or unread Review. What kind of information should I post in the Updates section? Pictures of your cat! (just kidding). The Updates section is made to describe your work as a tree planter. Your objective is to be able to communicate all year long yet we know that planting tree is for most projects a very seasonal activity. But there are many other intersting work on a plantation that are worth communicating about: the nursery, the seed collecting, pruning, field preparation and other field management, the team and a presentation of the local families that may benefit from the project, meeting with providers, new machinery or field infrastructure… Even your office time is worth talking about. We all know office time is quite boring but not so much for your followers that will gain more trust with each new information you provide them. – Long articles which can include a very long text and many images or videos. – And “posts” which are a very short text + 1 image. We suggest 1 long article per month with a minimum of 1 per quarter. What do I need to do to start offering a new species? You can manage your species list over time. You may want to add new species and also stop planting some existing ones. Our platform all you to do that thanks to the species stock counter. If you stop planting a species, its “stock” will be zero and the Tree-Nation users won’t be able to fund it. If you introduce a new species, add “stock” and the species will immediately be available for purchase. We recommend that you add a new species as soon as you are confident you can and will plant it, providing you will start to plant this species in the following months. What should I do if I'm not able to plant the amount of trees or the species I commited to on Tree-Nation? If you are unable to plant the specific number of trees and species you committed, you must plant a different number of trees and different species which are equivalent in value and communicate these changes to all parts that could be affected by the changes. What can I do to improve the rating of my project? Before anything do your field job well. Make sure you take care of your fields activity with the best possible care and mainteance for the trees. Then just communicate often about what you do on the field, through the Update section. Every day if you can. Your activites may be routine for you, they are interesting and important for your followers. Even routine create trust. Be honest and describe the situation as it is. People will reward your honesty with a good rating, even if your project suffer some problems. Make sure you answer all the questions your followers ask you. 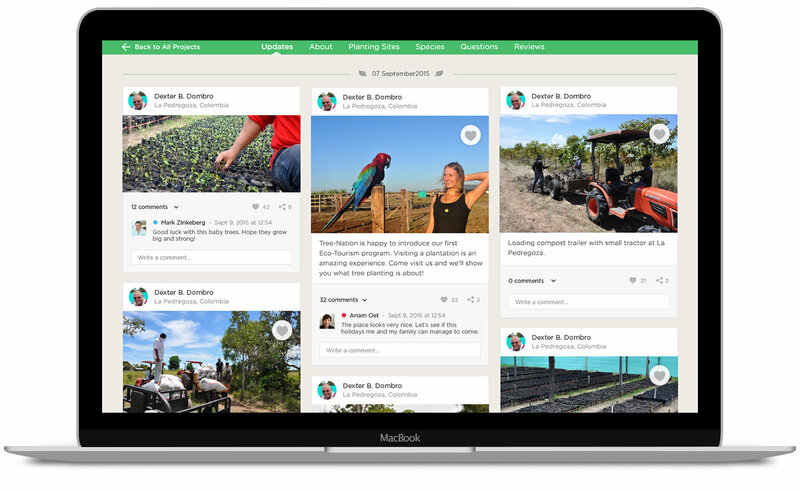 Finally don’t forget to invite people to review your project: your friends who trust you and know your passion for tree planting, people who already visited your plantation, companies you work with you and with which you developped a stable relation. Those reviews are very important. If you think you’re missing something, contact us and we will review your project with you and help you as much as we can. How can I get more people to follow my project? Please first read the above answer (how to improve rating). Outside Tree-Nation we recommend that when you discuss with anyone about your project you send them your project URL on Tree-Nation, together with your own website URL if you have one. We also recommend you provide your project URL in your own website as it will bring a lot of trust to your existing and potential future backers. Inside Tree-Nation the first and most important tool is to post many Updates. Tree-Nation users who do not yet follow your project will still be able to read your updates from the Update general list and reach your project. You can also leave reviews in other planting projects, and participate in the Question section of other projects. Also obviously, getting a good project rating will help! When will Tree-Nation transfer the funds to my bank account? We transfer the funds every quarter, around 20 days after the end of the quarter. If your funds are inferior to 500€ we wire you the money to your Paypal account. If the funds are superior to 500€ we wire you the money by bank transfer. If you don’t have a PayPal account (and prefer not to open one) and your funds for this quarter are inferior to 500€, you can simply wait next quarter to reach this sum. An Independent project is a project that is not using Tree-Nation’s payment system to raise funds. Users can still use the “Visit website” link to access an external project website and possibly fund its tree planting activities from there. For a project to be independent it need to complete the stage 1 described in the project dashboard. What is an Affiliated project? 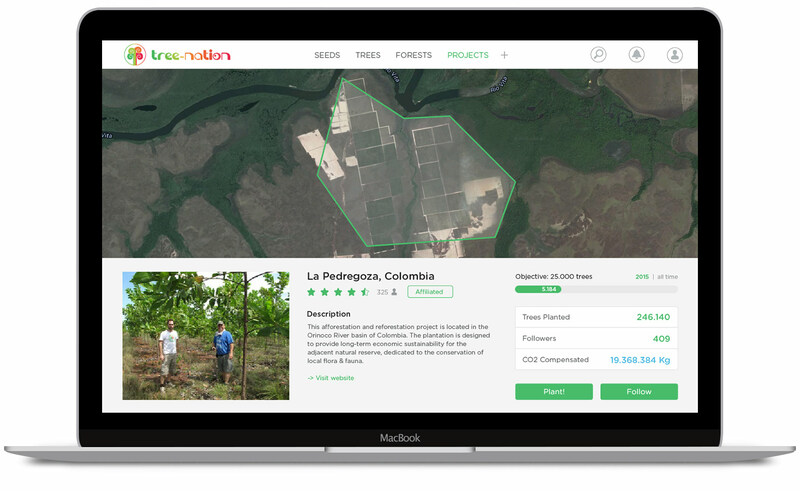 An Affiliated project allow users to plant trees directly from the Tree-Nation website. For a project to become Affiliated it need complete all the project stages described in the project dashboard. I plan to start a project but I haven’t really started yet. Should I join? Yes. You can take advantage of your project on Tree-Nation to meet with other planters and professionals and get tips and help. If you have questions or you need help, just ask it. Inside our network you will find a lot of people ready to help. We hope our platform will be a usefull tool for future project holders to make their project a reality. I manage various tree planting projects. Should I register them as one project or many? Inside each tree planting project we have a section named “Planting Sites”. It’s quite common for a tree planting project to plant on multiple plantation sites (sometime hundreds of them). So you don’t have to create a project per plantation site. However if you plant in various countries you should open a project per country. Also, if you have various projects in a same country but they are quite different from one another (different managing team, different planting methods, different purposes, different regions…) you can then open a project for each. Ask us if you have any doubt.